The Marfione Custom UT-10 makes its debut after an initial prototype last year. It's a spectacular OTF, based on the Ultratech chassis. 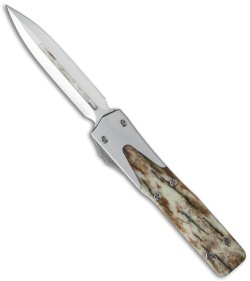 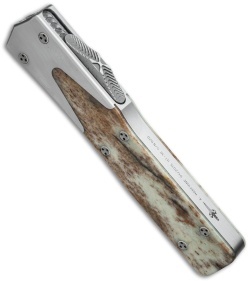 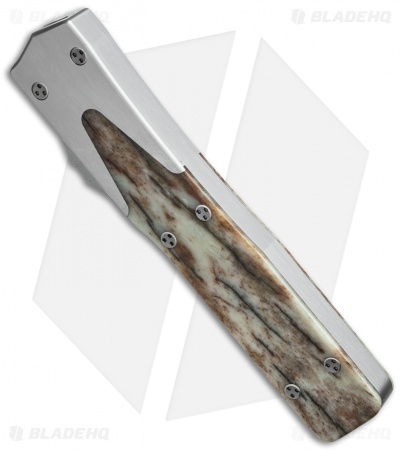 This model features a hand sculpted 416 stainless steel handle with dual giraffe bone inlays. The double-edged Elmax steel blade is mirror polished, hollow ground, and fitted with matching inlays. Includes Marfione Dagger pouch and certificate of authenticity.